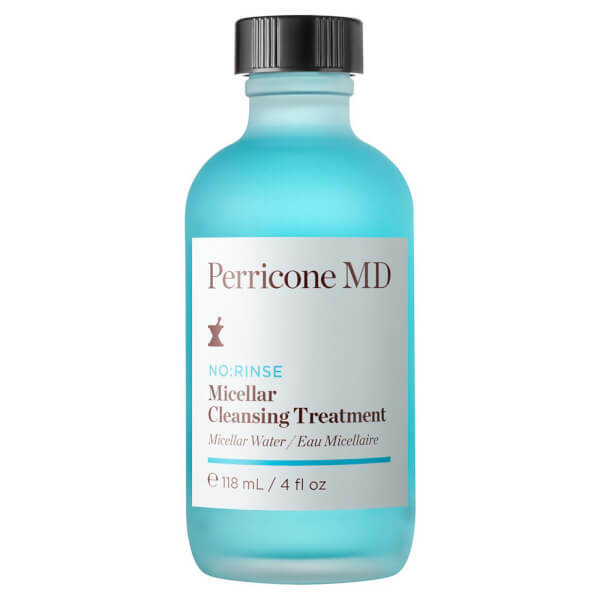 Refresh and purify your skin with Perricone MD No:Rinse Micellar Cleansing Treatment, a micellar cleanser that performs a deep clean to eliminate pore-clogging impurities. The no-rinse cleanser expertly draws away impurities while softening and conditioning skin; it lifts away dirt without over-drying to leave the complexion feeling instantly smoother, purified and radiant. Formulated with brightening L-Carnitine and hydrating Vitamin B5, skin is left refreshed and primed for the next steps in your skincare routine. Water/Aqua/Eau, PEG-6 Caprylic/Capric Glycerides, Propanediol, Carnitine, Allantoin, Panthenol, Ethylhexylglycerin, Betaine, Carbomer, Sodium Hydroxide, Disodium EDTA, PPG-33-Buteth-45, Cetrimonium Chloride, Urea, Phenoxyethanol, Copper Citrate.